The season of Green, Leprechauns, Rainbows and pots of gold is upon us. Don’t be caught this St. Patrick's Day not wearing green, instead buy a St. Patrick’s Day temporary tattoos from TattooFun.com! Tattoos are an easy way, and even a sneaky way to wear green on St. Patrick’s Day. St Patrick’s Day is an Irish holiday with a rich history and plenty of symbols. TattooFun.com sells many of these Irish symbols in the form of tattoos. Purchase any of our St. Patrick's Day temporary Tattoos to celebrate St. Patrick’s Day right this year. 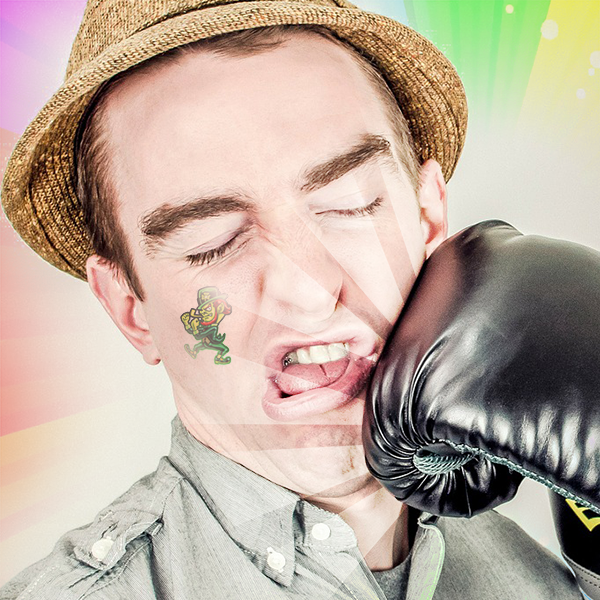 Why wear Green St. Patrick’s Day Temporary Tattoos? Irish Legend says that anyone not wearing green on St. Patrick’s Day is at risk of a fairy or leprechaun pinching them. The reason for this is that if you are wearing green the leprechaun can’t see you. It’s because of this that people pinch those who are not wearing green on St. Patrick’s Day. The pinching is to remind others that the leprechauns are always sneaking around, waiting to pinch any non-green-wearing-folk. St. Patrick’s Day Temporary Tattoos are a great way to wear green, to avoid any leprechauns from pinching you! In all seriousness, wearing a St. Patrick’s Day tattoo might not stop those pesky leprechauns, but it will stop your friends and family from pinching you. 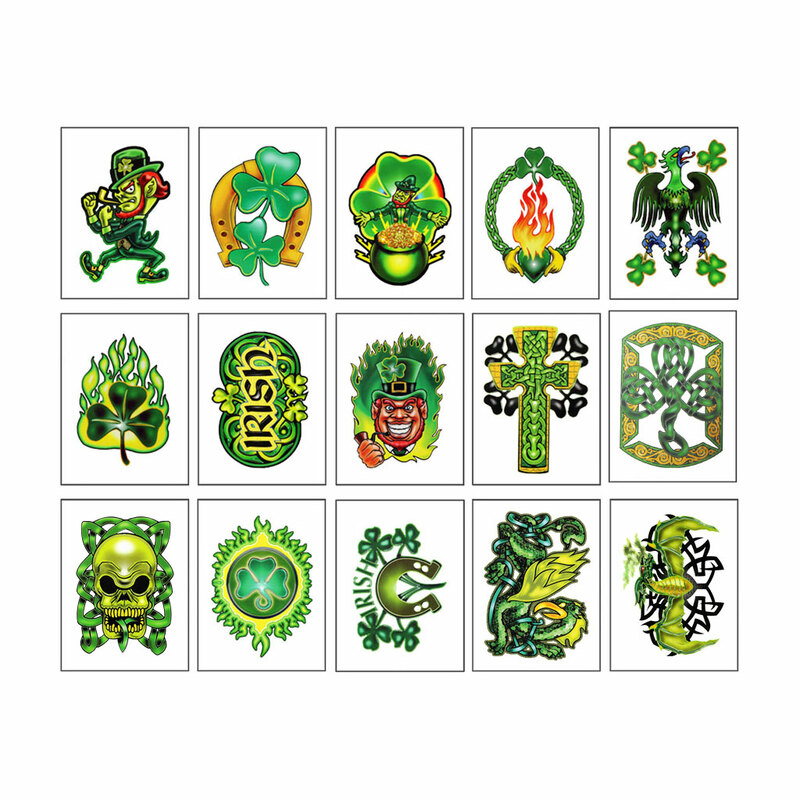 We offer a variety of St. Patrick's Day temporary tattoos. Don’t own any green clothing? Wear green St. Patrick’s Day Temporary tattoos instead. Don’t be caught not wearing green this St. Patrick’s Day. Wear St. Patrick’s Day temporary tattoos from TattooFun.com. In Irish folklore Leprechauns are little fairies. Although, most fairies have wings and are delicate and pretty, leprechauns look like little old men. A leprechaun is traditionally dressed in all green, and carries a big stick to guard his gold. Leprechauns are introverts, who prefer to be left alone. Therefore, a leprechaun spends most of his day making shoes or searching for Gold. 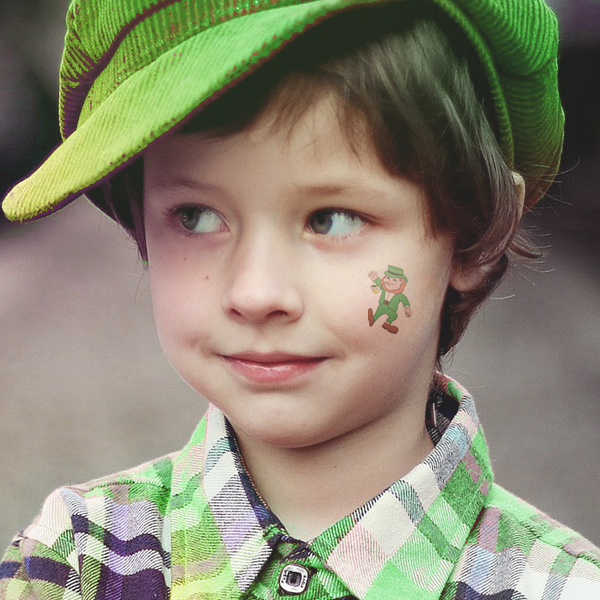 Order Leprechaun St. Patrick’s Day tattoos to show your love for the little guys. Put our Leprechaun on your face to show your friends how amazing leprechauns can be. However, make sure you train him so that he doesn’t pinch you. The myth goes that leprechauns find gold pieces buried in the ground, and put them in a pot at the end of a rainbow for safekeeping. Since leprechauns can’t spend gold, why would they even need it? Some say that they use the gold to try and trick humans. This is because humans aren’t smart enough to know the leprechaun is tricking them. A great way to celebrate this folklore is to wear a rainbow temporary tattoo or a gold clover tattoo. Above all, both of these tattoos are a great way to show the leprechauns you aren’t just a silly human, ready to fall for their trickery. 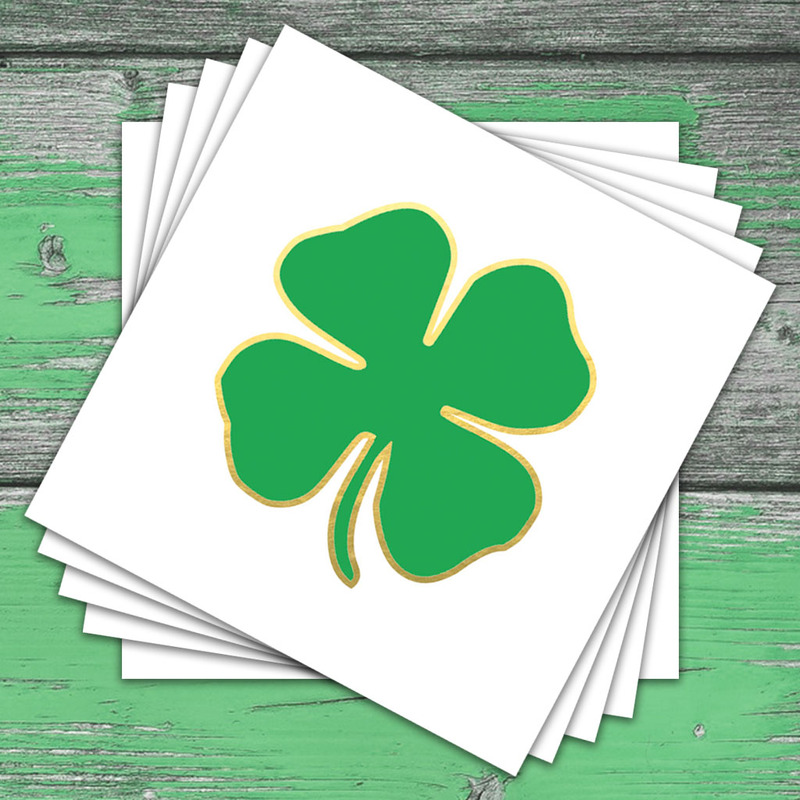 If you don't like any of our in-stock St. Patrick's Day temporary tattoos, consider purchasing custom temporary tattoos. 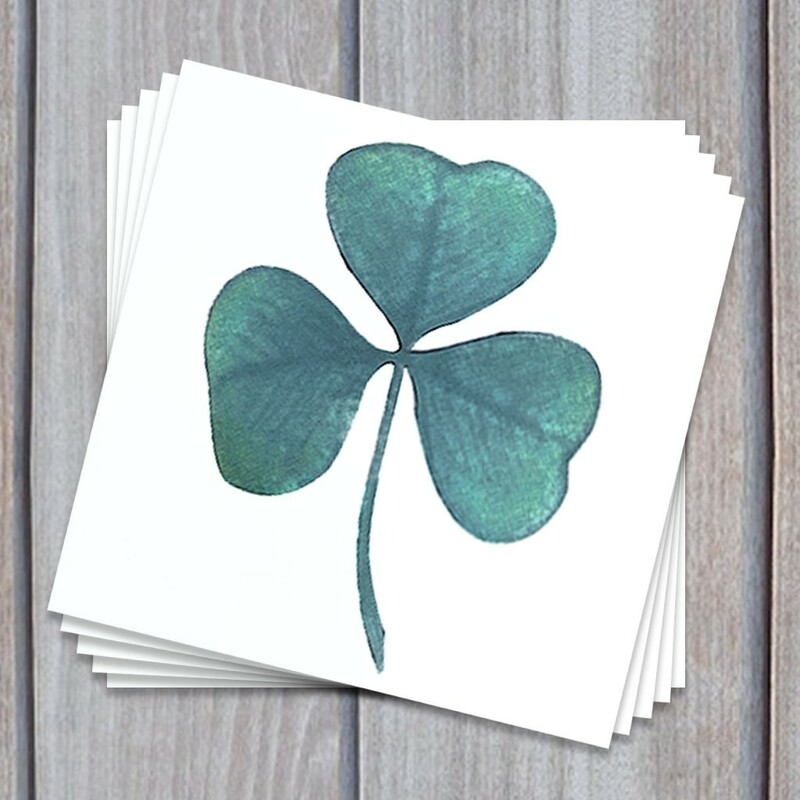 You can print St. Patrick's Day tattoos with your company's logo inside of a clover, or make your logo green! Whatever tattoo you would like to create, our graphics team is happy to help. All of these St. Patrick’s Day tattoos are easy to apply, and only require a little water! Simply put the temporary tattoo against your skin and apply a damp cloth to the backing for 30 seconds. The best part of temporary tattoos is that they stay on for days, but you can remove them at anytime with rubbing alcohol or, even just a little hand sanitizer. (They is also specially formulated temporary tattoo remover available). We’ve been in the Temporary Tattoo business for over 20 years, so we know a thing or two about what type of temporary tattoos people love. 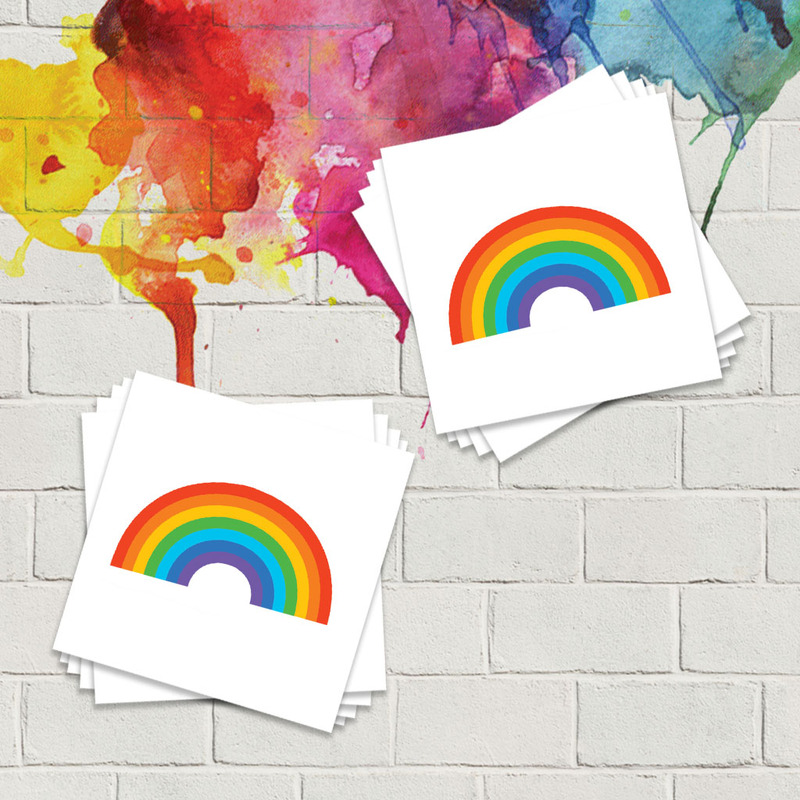 We ship millions of temporary tattoo sheets all over the globe each month. We make all of our temporary tattoos in the good old USA. Additionally, of our temporary tattoos are made with skin safe, FDA approved ingredients. We offer the best quality temporary tattoos, everyday low prices, excellent customer service, and your satisfaction is guaranteed!